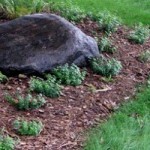 Cleaning up your beds in the spring and fall will aid and prepare plants for future growing seasons. You can help to give plants a head start for growing by removing dead plant material, pruning, turning/supplementing soil and cutting back perennials. Transplanting is most beneficial during this time as well. 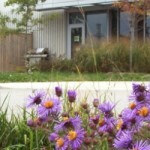 Planning your garden spaces works best in spring and fall. If the spring/fall clean up seems too overwhelming for you, it would be the best time to consider hiring a landscape company to come in and take care of it for you. Why not get it done right before the new growing season begins? In the long run it will save you time and money. Experts can troubleshoot your gardening dilemmas, and ensure your garden spaces grow under the best conditions possible.